Use of FishBase data and maps produced a major scientific breakthrough! – Quantitative Aquatics, Inc.
Home News Use of FishBase data and maps produced a major scientific breakthrough! A team of scientists and researchers (Rabosky et al.) recently analyzed the evolutionary relationships among >30,000 fish species and arrived at astonishing findings which lead to a conclusion that the rate of species formation was fastest at the highest latitudes and in the coldest ocean waters which have lower densities of species, contrary to common belief that the tropics serve as an “evolutionary cradle for marine fish diversity”. “Over the past several million years, cool water and polar ocean fishes formed new species twice as fast as the average species of tropical fish. Our results are unexpected and counterintuitive,” says Prof. Dr. Daniel Rabosky, evolutionary biologist at the University of Michigan, USA and lead author of the study. For this work, one of the co-authors, Ms. Cristina Garilao said they used over 12,000 distribution maps of marine fishes which are now available in FishBase and AquaMaps. Nina is responsible for the FishBase Information System at GEOMAR and, in particular, for documenting the global distribution of marine organisms, an essential prerequisite for the feasibility of the new study. 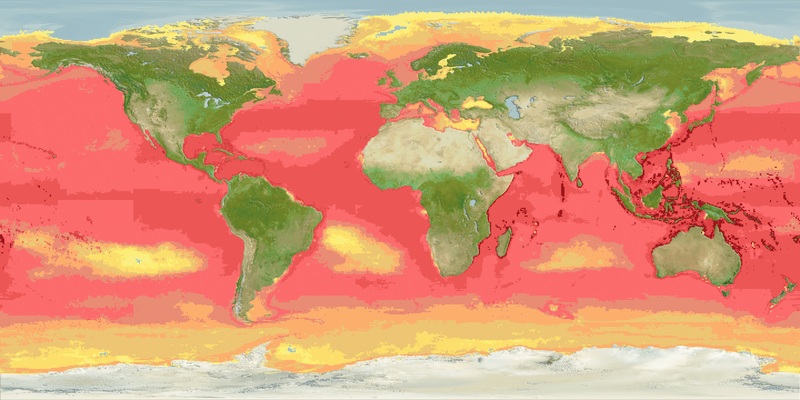 “Of particular importance to this study was the availability of as much data as possible on the global distribution of marine fish,” says Dr. Rainer Froese, marine biologist at the GEOMAR Helmholtz Centre for Ocean Research in Kiel and one of the founders of FishBase. GEOMAR, jointly with international partners, has set up the world’s largest database for marine fish, “FishBase”. “Thus, we provided the baseline information for the study,” Froese continued. The controversial paper, “An inverse latitudinal gradient in speciation rate for marine fishes,” was published on July 4 in Nature. The press release from GEOMAR, “A cold paradox: Not warm coral reefs but icy polar seas are centers of species formation for marine fishes” can be viewed at goo.gl/nSzGPR. Joann Glorioso, thanks for the article post.Really thank you! Great.